Marcia joined Summit Financial Strategies in June 2016 as the Internal Accountant/Assistant Controller. Marcia processes accounts receivable, accounts payable, and payroll for the firm. Marcia has over 25 years of experience in accounting, with a wide range of experience ranging from manufacturing to property management. 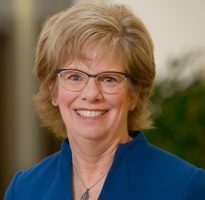 Marcia graduated from Nebraska Wesleyan University with a Bachelor of Science degree in Business Administration, and she passed the CPA exam in 1991. Marcia lives in Worthington with her husband Steve, and she has two daughters that live in San Francisco and Chicago. In her spare time, Marcia enjoys reading, traveling, and outdoor activities, including hiking, walking, and biking.